The One Big Showcase is delighted to announce the unsigned acts who have been chosen from over 1000 entrants in this year’s competition to perform. 5 acts from 2018 were selected to perform on the Pallet and Woodland stage this year and same will happen in relation to the 2020 festival with this year’s winners. 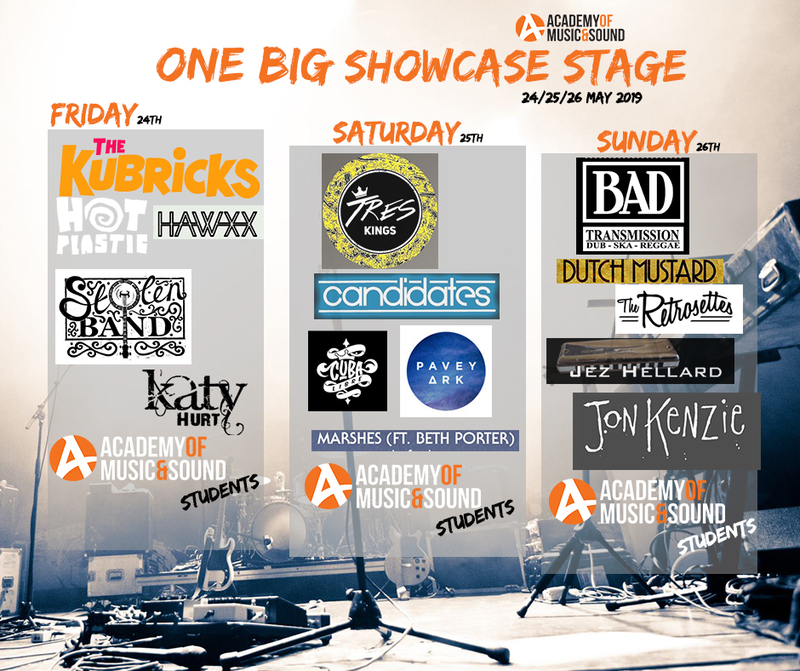 The One Big Showcase is run by the Academy of Music and Sound, the UK`s biggest network of independent music schools.